The Loon Saloon Welcomes You! Great food, friends, and more on beautiful Lake Namakagon! 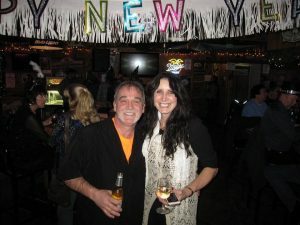 Grab a bite, hang out on the deck, or enjoy our lively nightlife! Fuel up with a stop at the Loon! Sweatshirts, hats, T-shirts & more! Welcome to the Loon Saloon! 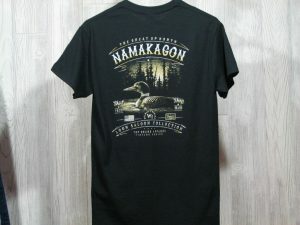 The Loon Saloon welcomes you to beautiful Lake Namakagon near Cable, Wisconsin in Northern Wisconsin’s scenic Bayfield County! The Loon Saloon bar serves delicious homemade pizzas – the best in the Northwoods! – hamburgers, panini, chicken wraps and appetizers. Our comfortable, Northwoods bar has docking on Lake Namakagon and is a popular stop for snowmobilers riding the trails on Lake Namakagon and the hundreds of miles of snowmobile trails in Northern Wisconsin. 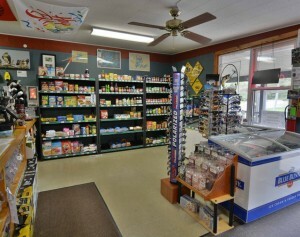 Loon Saloon Bait Shop & Convenience Store on the shores of Lake Namakagon carries a full line of bait, tackle, groceries, off sale, lake apparel, gifts, and wine.